A “Drone Boom” (100% plus) is forecast by the CTA to occur over the next 18 months. 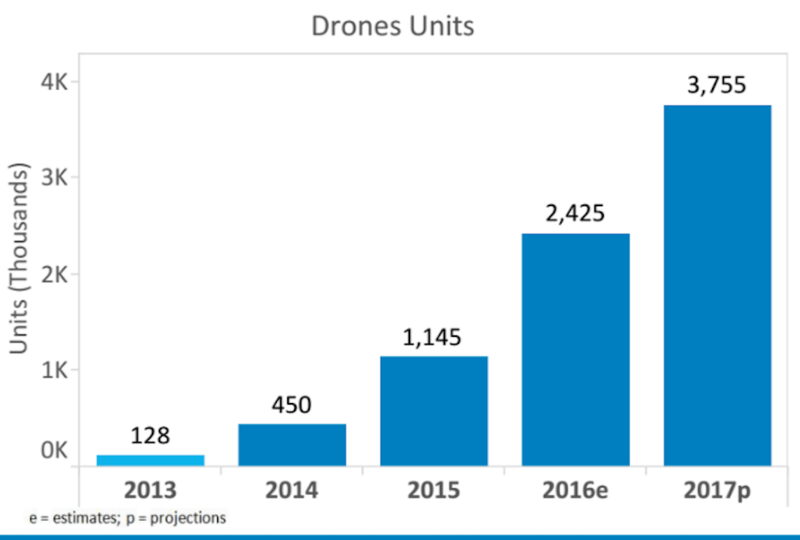 Drone sales will then level off to slow growth. This applies to both the total revenues and unit sales in the USA and to a similar extent in the rest of the world. This boom may be taking into account the new FAA guidelines which allow for income-producing uses of the camera drone models. The average retail sales price of the >250 gram models(usually camera drones) will fall from about $1200 average retail now to about $850 in 2020. However, these models will be more capable each year – so the consumer will get more and more features for less money. Total revenues for drone (toy and hobby/consumer) sales in the USA at retail will likely be 2.5 billion by 2020, having grown from 1.1 billion in 2016. 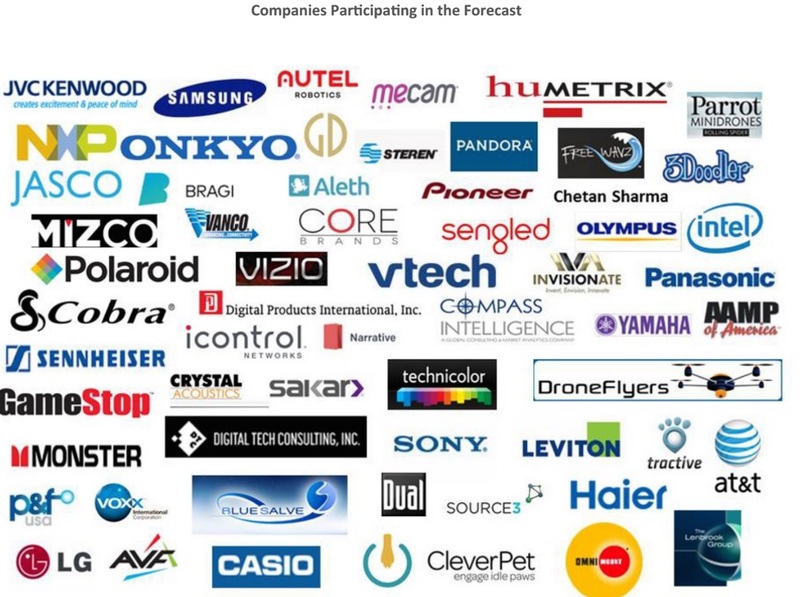 Global drones sales at retail will likely be over 8 billion dollars by 2020. As with any study in numbers, there are various trends which accompany the market growth. Here are some of our own projections to accompany the CTA forecasts. 1. The line between Hobby-Grade and commercial drones will fade…in much the same way that a corporate computer, tablet or smartphone is now similar to a consumer model. 2. There will be a rise in the “prosumer” market who are willing to spend upwards of $1500 on models with additional features – especially better cameras and other sensors. These will still be “consumer electronics” in a sense because they will not be customized nor targeted at the military and/or security uses (CTA and Droneflyers.com only cover civilian uses). Unit sales in this class will be low – but the $$ could still add up. As Drones mature into useable consumer electronics, the customers (end-users) will no longer expect to be beta testers and proving grounds for the next generations of machines. Unfortunately, this has been the case for many of the former drone models…but the new breed of drone consumers want products that work. It is no longer a “build it, crash it and repair it” type of hobby (although the DIY segment still exists it is a completely separate market and quite small). Note: The CTA studies are not public however it is likely that snippets and charts will be released to the press and to the public. Note2: We appreciated being of help to the CTA in an attempt to get the numbers right. Below is their page in the report thanking us along with others who helped in their forecast! Note3: If your company or org would like a more detailed take on any of the number breakdowns and/or our or CTA projections, please contact us via one of our contact forms or @bestquads on twitter.